Who, What, Why: Why can't they make a flushable wipe? The number of wet wipes littering the UK's beaches went up by 50% in the past year, according to an environmental charity. Why can't wet wipes be made to naturally degrade? The Marine Conservation Society says the problem is caused by people flushing them down the toilet. The wipes don't disintegrate easily, unlike toilet paper. 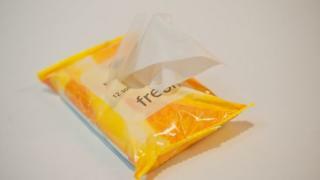 Wipes - whether aimed at babies, hands or faces - are designed to be durable. Unlike toilet paper they keep their structure when wet and can withstand scrubbing. It means that they do not break up in the sewage system - in 2012 Thames Water claimed that three-quarters of sewerage blockages were caused by wipes. If sewage ends up in the sea, the wipes are washed on to beaches. When they do eventually break up they add to the quantity of plastic particles in the oceans, says Phillip Broadwith, business editor of Chemistry World magazine. They are made from either a natural fibre such as cotton or synthetic substance like polyester. "They need to be robust," says Broadwith. "Any parent whose finger or thumb has gone through [paper] while wiping a baby will attest to that." And as they are sold wet, the sheets need to remain separate rather than getting stuck together like the pages of a damp book. The packaging has warnings - either text saying "do not flush" or a picture of a toilet crossed out. But it is displayed on the back of the packet in small print. "The warnings are there but nowhere near prominent enough," he says. A wet wipe in the bin will usually go to landfill - they are currently difficult to recycle. But this is preferable to ending up in the sea, says Broadwith. Their convenience has made them popular in a range of situations - changing a baby's nappy, washing hands at music festivals, removing make-up. Where once a dab of a damp tissue would have done, critics say wet wipes are being used when they are not needed, such as wiping hands after a sandwich or as a substitute for toilet paper. Beauty writer Sali Hughes says they are almost indispensable for parents changing nappies. And fine if you don't have access to running water for removing make-up and washing hands. But in a daily setting people use far too many anti-bacterial wipes and they are better avoided for cleansing, she says. "They don't remove make-up properly and tend to strip oils out." There are alternatives. Some parents use cotton or bamboo wipes that can be washed and re-used. There is a flushable wipe called "moist toilet tissue". Andrex says its Washlets are made from 98% natural cellulose fibres, with just 2% man-made fibres. However, products like this can only be flushed in small quantities and may not be as robust as a wipe.